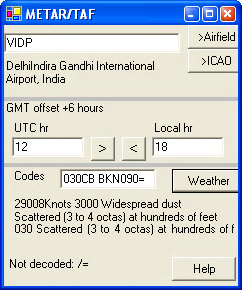 Comfortable with TAF codes or METAR weather codes like this? So where’s that? What’s the weather like? When will it be like that? All in one handy screen. translates all ICAO airport codes. Get an ICAO TAF METAR decoder!